The Common Fisheries Policy (CFP) is the fisheries policy of the European Union (EU). It sets quotas for which member states are allowed to catch what amounts of each type of fish, as well as encouraging the fishing industry by various market interventions. 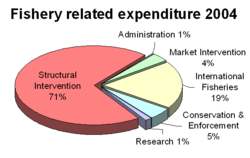 In 2004 it had a budget of €931 million, approximately 0.75% of the EU budget. The common fisheries policy has been criticised by fishermen who say it is threatening their livelihoods, although fishing stocks were in decline long before the policy came into being. When it came into force, the Treaty of Lisbon formally enshrined fisheries conservation policy as one of the handful of 'exclusive competences' reserved for the European Union, to be decided by Qualified Majority Voting. However, general fisheries policy remains a "shared competence" of the Union and its member states. Thus decisions will still be made primarily by the Council of the European Union, as is the case now. The common fisheries policy was created to manage fish stock for the European Union as a whole. Article 38 of the 1957 Treaty of Rome, which created the European Communities (now European Union), stated that there should be a common policy for fisheries. Fishing is a relatively unimportant economic activity within the EU. It contributes generally less than 1% to gross national product. In 2007 the fisheries sector employed 141,110 fishermen. In 2007, 6.4 million tonnes of fish were caught by EU countries. The EU fleet has 97,000 vessels of varying sizes. Fish farming produced a further 1 million tonnes of fish and shellfish and employed another 85,000 people. The shortfall between fish catches and demand varies, but there is an EU trade deficit in processed fish products of €3 billion. In Fraserburgh, Scotland, the Fishing Industry creates 40% of employment and a similar figure is in Peterhead. They are the EU's largest fishing ports and home to the Pelagic vessel fleet. It is often in areas where other employment opportunities are limited. For this reason, community funds have been made available to fishing as a means of encouraging regional development. The market for fish and fish products has changed in recent years. Supermarkets are now the main buyers of fish and expect steady supplies. Fresh fish sales have fallen, but demand for processed fish and prepared meals has grown. Despite this, employment in fish processing has been falling, with 60% of fish consumed in the EU coming from outside. This is partly due to improvements in the ability to transport fresh fish internationally. Competitiveness of the EU fishing industry has been affected by overcapacity and shortages of fish to catch. Fish farming is the fastest growing area of world food production. In 1995 it produced 1/3 in value of world production of fish and shellfish. Main species in the EU are trout, salmon, mussels and oysters, but interest has been shown in sea bass, sea bream and turbot. Community support began in 1971 for inland fish farming, but was extended to other areas in the late 1970s. EU support covers similar areas to other land installations, but with additional concerns of technical and environmental problems caused by introducing major fish concentrations where farms are built. The industry suffers problems due to fluctuating demand for farmed fish. Encouraging producers organisations intended to protect fishermen from sudden market changes. Setting minimum fish prices and financing buying up of unsold fish. The CFP sets quotas for how much of each species can be caught in a certain ICES Statistical Area or groups of areas on a yearly or two-yearly basis. Each country is given a quota based upon the total available (Total Allowable Catch, TAC) and their traditional share (percentage). TACs are fixed annually by the Council of Ministers. They consider proposals drawn up by the European Commission, which consults its own scientific advisers (Scientific, Technical and Economic Committee of Fisheries, STECF). STECF generally provides its advice to the European Commission taking account of the work conducted by the International Council for the Exploration of the Sea (ICES). The Council of Ministers furthermore (when relevant) takes account of the views of non EU fishing nations and the advice coming directly from ICES, which is independent of EU institutions. After quota are fixed by the Council of Ministers, each EU member state is responsible for policing its own quota. Different countries distribute their quota among fishermen using different systems. The Basic Regulation sets the common principles for the EU management, under which each Member State can use different management approaches as licences, limited entry or individual fishing quota. Catches and landings must be recorded. Regulations cover the kind of fishing gear that may be used. Areas may be closed from fishing to allow stocks to recover. A minimum size for catch led to fishermen dumping dead fish that were too small to land legally, so a minimum mesh size was introduced, which let small fish escape to replenish stocks. Choice of mesh is complicated, because mature fish of different species are naturally different sizes and require different nets. In 1977 an aid programme was introduced to improve the fish processing industries. This includes such things as fish filleting, salting, drying, smoking, cooking, freezing and canning. It was intended to indirectly assist the catching industry. There has been an attempt to introduce new technologies to the sector, improve hygiene conditions, and also fund conversions of fish processing factories to other uses. Each country is given a target for the size of their fleet. Funding is available to assist modernisation of boats and installations, but also to buy out fishermen to reduce the fleet size. Money is available for advertising campaigns to encourage consumption of fish species that are not over fished, or are unfamiliar to the public. Also, grants are available to assist the industry in improving product quality and managing quotas. There are now more than 160 producer organisations (PO) in the EU. These are voluntary organisations set up by fishermen or fish farmers to assist in selling their product. Their members must include a minimum percentage of vessels in that sector, not discriminate in terms of nationality or location of their members within the EU, and must comply with other EU regulations. Organisations are required to develop plans to adjust fish catches to market demand. They may require non-members fishing in the same areas to follow the same restrictions as members. They are empowered to take produce out of the market if prices fall below levels set by the council of ministers and receive compensation from the community. Levels of compensation are set such that price falls as the amount of fish involved increases. Fish stocks may be stored and later returned to the market, or sold for animal feeds. Buying up of stocks must only be to cover occasional surpluses. Tuna fishermen have a scheme where surplus stock is not bought up, but fishermen receive direct compensation if their income falls. Fishing rights to fisheries outside the EU were lost when international boundaries were expanded in 1976. The EU has negotiated agreements to recover some of these fishing grounds in return for alternative trading rights with the EU. External trade is now affected by the General Agreement on Tariffs and Trade (GATT), regulated by the World Trade Organisation (WTO). Most Mediterranean fishing is confined to a 12-mile (22-km) strip considered territorial waters. 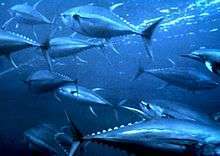 The EU belongs to the General Fisheries Commission for the Mediterranean (GFCM) and the International Commission for the Conservation of Atlantic Tuna, which also makes recommendations for Mediterranean tuna. In 1994 conservation regulations were introduced banning certain fishing methods. In 1997 targets were set for tuna catches. Enforcement is the responsibility of member states, but there is a community level inspection service to ensure that member states enforce the rules within their own country. Member states are also under an obligation to ensure that their vessels observe EU agreements when operating outside the EU. The regulations are also intended to harmonise penalties for breaking the regulations in different countries. Enforcement involves managing quotas and implementing technical measures to preserve fish stocks. Inspectors may check fishing gear and inspect the register of fish caught. The type of fish caught is checked and compared to quotas of total permitted catch for a vessel. Checks may be made in port or at sea, and using aerial photography. Inspectors may also check fish processing factories to ensure that all fish is documented and can be traced to its source. EU inspectors check that hygiene and processing regulations in any country exporting to the EU are satisfactory and of an equal standard to controls within the EU. Non-compliance remains a significant problem. In a number of EU fisheries, illegal fishing accounts for one-third to one-half of all catches. Fishing was initially funded under the European Agriculture Guidance and Guarantee Fund (EAGGF). In 1993 a separate fund was established (FIFG), the Financial Instrument for Fisheries. From 1994 to 1999 the budget for FIFG totalled 700 million ECU. Any grant from FIFG must be accompanied by a minimum contribution from the national government. A grant to business must include a proportionate contribution from the business itself. Different rates of aid are applied to different regions. From 2007 to 2013, the European Fisheries Fund (EFF) will provide approximately 4.3 billion Euro to the European fishing sector. The adoption of the EFF was not uncontested, in particular by environmental groups, as it includes the possibility to fund vessel modernisation and other measures, which might increase pressure on already overfished stocks. In 1997 North Sea states and EU representatives agreed a joint approach to identifying risks to the marine environment. A precautionary approach was adopted to seek to prevent pollution before damage was caused to the environment. Studies are being undertaken to monitor stocks of all fish, not just commercially important species. The Common Fisheries Policy has been argued by certain commentators to have had disastrous consequences on the environment. This view is contradicted by historical evidence that reveals that fishing stocks have been in chronic decline over the last century as a result of intensive trawl fishing. According to scientific research published in 2010, the depletion of fishing stocks is a consequence of mismanagement long before the Common Fisheries Policy came into being, a statement illustrated by the fact that British catches have declined by 94% over the last 118 years. Nonetheless, the Common Fisheries Policy has continued the trend of ineffective fisheries management in European waters. Indeed, the Common Fisheries Policy has done little if anything to reverse the decline of European fish stocks. EU quotas can mean that fish are thrown overboard after being caught; yet as they are dead, this does not alleviate the problem as it was intended to. The Common Fisheries policy has been a major reason for countries with big fish resources coupled with small home markets, like Norway and Iceland, the Danish dependencies Greenland and the Faroe Islands, and some more dependencies, to stay outside the European Union. An oft-voiced criticism of the CFP is its centralised, top-down approach to management; although Member States are responsible for the policy's implementation and enforcement, the EU adopts sole competence in the creation of proposals and the making of decisions. The Commission is not exclusively responsible for the setting of total allowable catchesthese are proposed by the commission but ultimately determined by the Council of Ministers. Allocation of national catch quotas to Member States is on a predetermined basis - the so-called relative stability - giving each member state predetermined percentages of the available fishing opportunities. Although Member States hold some responsibilities, such as the distribution of quotas, it is argued that the EU retains too much authority over fisheries management. Furthermore, critics maintain that the organisation is ill-suited to the task of fisheries management as it lacks sufficient understanding of fisheries, and is too far removed from the realities of the industry to set accurate TACs and quotas. 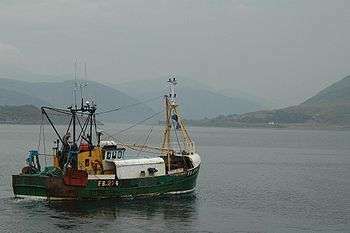 The command-and-control method characterised by the CFP is no longer deemed an effective form of fisheries management, and advocates of CFP reform consider a shift from traditional government to participatory third-order governance, incorporating the fisheries industry and Member States, to be vital to the success of the policy. Consequently, it is suggested that the management of the CFP could be improved through the application of the theory of subsidiarity—the principle that political decisions should be handled at the lowest, least centralised competent level. The subsidiarity principle was introduced into EU policies as part of the 1992 Maastricht Treaty; however, it does not apply to areas such as the CFP over which the Community retains exclusive competence. A partial devolution of authority, for example involving Member States in the decision-making process and delegating the day-to-day management of fisheries to industry-based organisations, could potentially facilitate the inclusion of industry concerns into the CFP, involving those directly affected by the policy in management decisions and creating to a CFP which encourages compliance and collaboration. The call for application of the subsidiarity principle to the CFP lies within the argument for its decentralisation. Decentralisation featured prominently in discussions related to the 2002 CFP reform, but the reform itself actually increased centralisation within the CFP, removing the right of Member States to block quota proposals and increasing the EU's role in enforcement. This increasing monopoly and disregard for the wishes of the fisheries industry led to alienation of stakeholders and resulted in reduced compliance. The failure of this increasingly centralised reform has proven to decentralisation advocates that stakeholder participation in the governance process is crucial to the future success of fisheries governance. However, some critics argue that applying the subsidiarity principle to the CFP may not improve the policy's effectiveness, as it may lead to what de Vivero et al. term the ‘participation paradox’—the theory that the greater the number of actors involved in the decision-making process, the less significant the contribution made by each actor, and the smaller the participatory role played in the policy process. Greater devolution within CFP decision-making may therefore silence the voice of the fisheries industry as it competes with other state, private and civil actors to whom authority is also granted. Thus, although the subsidiarity principle can facilitate the government-to-governance transition advocated by many in relation to reform of the CFP, the participatory role of key stakeholders affected by the policy must be maximised to ensure the development of an effective and equitable Common Fisheries Policy. The first rules were created in 1970. The original six Common Market members realized that four countries applying to join the Common Market at that time (Britain, Ireland, Denmark including Greenland, and Norway) would control the richest fishing grounds in the world. The original six therefore drew up Council Regulation 2141/70 giving all Members equal access to all fishing waters, even though the Treaty of Rome gave no authority to do this. This was adopted on the morning of 30 June 1970, a few hours before the applications to join were officially received. This ensured that the regulations became part of the acquis communautaire before the new members joined, obliging them to accept the regulation. In its accession negotiations, at first the UK refused to accept the rules but by the end of 1971 the UK gave way and signed the Accession Treaty on 22 January 1972, thereby bringing into the CFP joint management an estimated four fifths of all the fish off Western Europe. Norway decided not to join. Greenland left the EC in 1985, after having gained partial independence from Denmark in 1979. It was determined that there had been overinvestment in vessels, overfishing and that numbers of fish landed were decreasing. The review identified a need to improve compliance with the regulations. This led to a tightening of regulations and better monitoring of individual vessels. A second review was planned for 2002. Although fishing could be managed by reducing the fleet size, available fish vary from year to year too much to make this sensible. So a permit system was introduced stating where and when boats are allowed to fish. Scientific studies were commissioned to better determine available stocks and guide allocation of permits. In 2009, the EU Commission launched a wide-ranging debate on the way that EU fisheries are managed. It received input from EU citizens, organisations and EU-countries and published a report on the consultation. 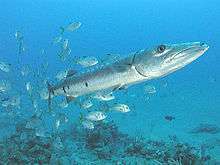 In February 2013 the European Parliament voted for reform of the Common Fisheries Policy, including measures to protect endangered stocks, and the ending of discards. The new CFP came into effect from 1 January 2014, though more talks with EU governments are involved. In presenting the reform package, the German Social Democrat MEP Ulrike Rodust stated: "As of 2015 the principle of maximum sustainable yield shall apply... Our objective is that depleted fish stocks recover by 2020. Not only nature will benefit, but also fishermen: bigger stocks produce higher yields." 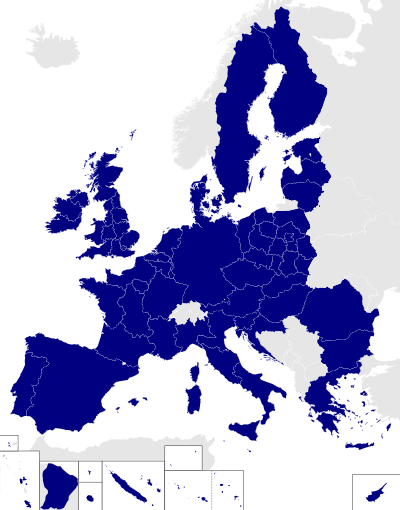 The 2013 reform led to a greater role for the European Parliament, involving the convening of a trilateral dialogue (or ‘trilogue’) between the European Council, European Commission and the Parliament, to work towards general agreement on reforming the CFP. 1 2 Black, Richard (4 May 2010). "'Profound' decline in fish stocks shown in British records". BBC News. Retrieved 5 May 2010. ↑ Booker, Christopher (25 November 2007). "Fishing quotas are an ecological catastrophe". The Daily Telegraph. London. ↑ "The human cost of the EU's fishing failure". The Daily Telegraph. London. 23 April 2009. ↑ Thurstan, Ruth H.; Brockington, Simon; Roberts, Callum M. (4 May 2010). "The effects of 118 years of industrial fishing on UK bottom trawl fisheries". Nature Communications. Nature Publishing Group. 1: 15. doi:10.1038/ncomms1013. ↑ Khalilian, Setareh; Froese, Rainer; Proelss, Alexander; Requate, Till (November 2010). "Designed for failure: a critique of the Common Fisheries Policy of the European Union". Marine Policy. Elsevier. 34 (6): 1178–1182. doi:10.1016/j.marpol.2010.04.001. ↑ Gray, Louise (1 September 2009). "EU fisheries minister calls for an end to dumping millions of dead fish". The Daily Telegraph. London. ↑ "Why isn't Norway in the EU?". Euronews. 29 March 2013. ↑ Sissenwine, M.; Symes, D. (2007). "Reflections on the Common Fisheries Policy". EU commissioned report. ↑ Sellke, P.; Dreyer, M. (2011). "Enhancing Regionalisation of the Common Fisheries Policy: An Opportunity and Challenge for Participatory Fisheries Governance in the EU". Paper presented at the annual meeting of the International Studies Association Annual Conference "Global Governance: Political Authority in Transition". Retrieved 31 March 2011. ↑ Jordan, Andrew; Jeppersen, Tim (March–April 2000). "EU Environmental policy: adapting to the principle of subsidiarity?". Environmental Policy and Governance. 10 (2): 64–74. doi:10.1002/(SICI)1099-0976(200003/04)10:2<64::AID-EET219>3.0.CO;2-Z. ↑ Coffey, C. (2000). "Good Governance and the Common Fisheries Policy: An Environmental Perspective" (PDF). Institute for European Environmental Policy Report. Retrieved 31 March 2011. ↑ Symes, David; Phillipson, Jeremy (March 2011). "Whatever became of social objectives in fisheries policy?". Marine Policy. Elsevier. 95 (1): 1–5. doi:10.1016/j.fishres.2008.08.001. ↑ Gray, Tim; Hatchard, Jenny (November 2003). "The 2002 reform of the Common Fisheries Policy's system of governance—rhetoric or reality?". Marine Policy. Elsevier. 27 (6): 545–554. doi:10.1016/S0308-597X(03)00066-6. ↑ Hatchard, J. T. Gray, ed. Participation in Fisheries Governance. Netherlands: Springer. ↑ Suárez de Vivero, Juan L.; Rodríguez Mateos, Juan C.; del Corral, D. Florido (May 2008). "The paradox of public participation in fisheries governance. The rising number of actors and the devolution process". Marine Policy. Elsevier. 32 (3): 319–325. doi:10.1016/j.marpol.2007.06.005. ↑ "Common Fisheries Policy Reform". ↑ EU Common Fisheries Policy and Fisheries Partnership Agreements – Challenges for ACP countries. Agritrade. Weissenberger, Jean (2013). Discarding fish under the Common Fisheries Policy: Towards an end to mandated waste (PDF). Library of the European Parliament.